Sound is the vocabulary of nature. Through state-of-the-art equipment, he irons out defects to offer that ultimate listening experience. He has been communicating in this vocabulary with immense success for many years now. 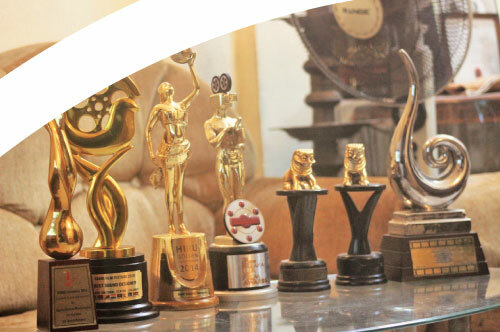 The numerous awards for best sound designer on his shelf are proof of his expertise. However he has been away working on numerous films when most of the awards have been announced. “I started off my stint with cinema when I joined the National Film Corporation in 2001 as a trainee. I encountered the field of sound designing there. Sarasavi Studios was converted into a digital colour lab in 2006. Indian Production Mixer and Sound Designer Baylon Fonseca trained us during this era. Fonseca has been the sound designer behind mammoth projects like ‘Raees’, ‘Krrish 3’, ‘Zindagi Na Milegi Dobara’, ‘Dostana’, ‘Billu’ etc. I developed an interest towards the field and began doing research on it. I even flew to Bangalore to engage in the technical training required for the process. I soon realized that I need some knowledge about the aesthetic side of the process too to give a quality output. Renowned directors like Prasanna Jayakody and Channa Perera helped me lot in this aspect. Prasanna Vithanage introduced me to the Indian sound designer Tapas Nayak and the Indian editing professional Sreekar Prasad. They have both worked with Mani Ratnam. I spoke with them and gained knowledge about the field,” Sasika Ruwan Marasinghe shares memories and experiences from a journey he was destined to undertake. 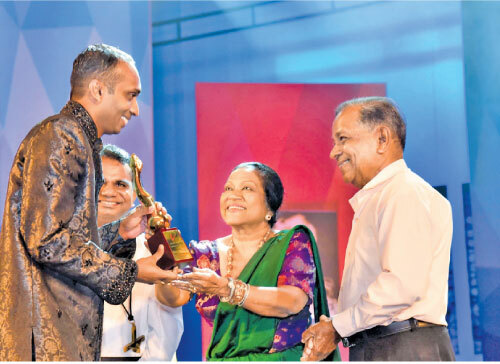 Marasinghe won his first award in 2012 at the Derana Sunsilk Film Awards for Prasanna Jayakody’s ‘Karma’. The award had been given to both him and his mentor Lionel Gunarathne. Next was the OCIC award for Indika Ferdinando’s ‘Ho Gana Pokuna’ (The Singing Pond) in 2016. Later he bagged the Best Sound Design Award for Malaka Devapriya’s ‘Bahuchithawadiya’ (The Undecided) at the Eighth SAARC Film Festival which was held recently this year. Starting off with ‘Rosa Mal Sayanaya’, he has many popular films like ‘Dedunu Akase’, ‘Heena Hoyana Samanallu’, ‘Aloko Udapadi’, ‘The Rainbow’, ‘Spandana’, ‘Mago Digo Dai’, ‘Parapura’, ‘Kalpanthe Sihinayak’, ‘Que Sera’, ‘Dekala Purudu Kenek’, ‘Ranja’ and many more to his name. Though sound designing involved creating sound tracks for various needs such as filmmaking, television production, theater, video game development and live performances, Marasinghe only handles filmmaking. He says that it is no child’s play because a sound track needs to suit the genre of the movie as well as the particular action taking place in the scene. “For example the sound track for an epic film differs a lot from a film that is based in the modern society. I do not consider the fact that the film is a commercial or art production. My chore is to provide a background sound to enhance the visuals as well as to keep the audience engaged in the story. At times I have even used silence to convey the message,” he noted adding that he has won his awards for three movies which represent three different genres. He says that designing the sound for ‘Bahuchithawadiya’ had been the toughest of the three. He has spent over one year designing and redesigning the tracks which had gone into the project. “One of the reasons why it took so long to make the tracks was that the male protagonist of the film spoke with a foreign accent. We had to spend a considerable span dubbing for him. We only used music at the end of the film but this was not evident when one watches the film,” he explained. ‘Karma’ was the other tough project for which he had to provide sound. “I got involved with the project at the beginning of my career. 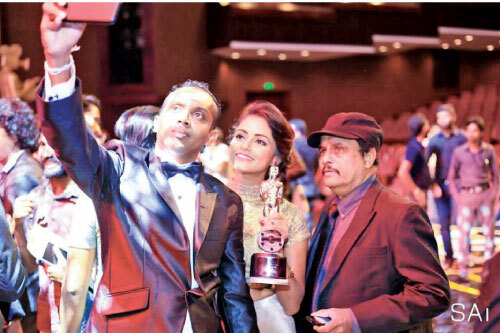 Jayakody’s storyline too demanded a lot from the sound department to drive home his message,” he added. He noted that sound directing is one of the key components which decides the success of a film. Only someone who has a lot of experience in the field can teach sound designing. “You encounter new challenges everyday because each project differs from the other. The storylines, time frames and directors are different. Therefore, their requirements too are different. At times the director might not agree with you on the sound design you choose for a particular scene. You need to learn to accept this and come to terms with a track that both of you are satisfied with for the end product,” Marasinghe said. 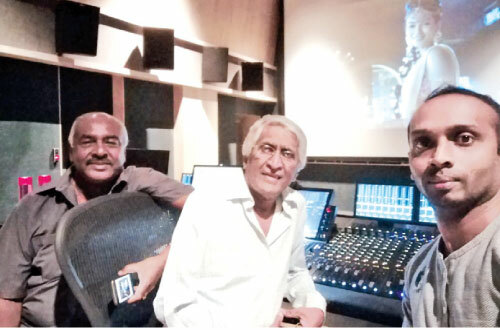 Though the music director is in charge of the sounds in a song included in a film, Marasinghe says that as the sound designer, he has to look into its sound mixing process. He has a say in the expressions of the actors during their dubbing process too. A product of Wedamulla Maha Vidyalaya and Gurukula Vidyalaya, Marasinghe hails from a family whose parents were into the technical field. He too has followed in their footsteps though in a different field. He notes that the ability to detect the kind of sounds most suited for a particular visual comes with experience. “He or she needs to recognize the sounds in his or her surroundings first. For example if you come close to a waterfall, you realize that it is not only the sound of the water flowing that you hear. There are many other sounds in the backdrop which are almost drowned by the sound of the waterfall. Similarly, if you get a scene of a fire, it is not purely the sound of the raging fire that you hear. You get sounds like firewood crackling too. You need to identify each of these layers embedded in the episode. 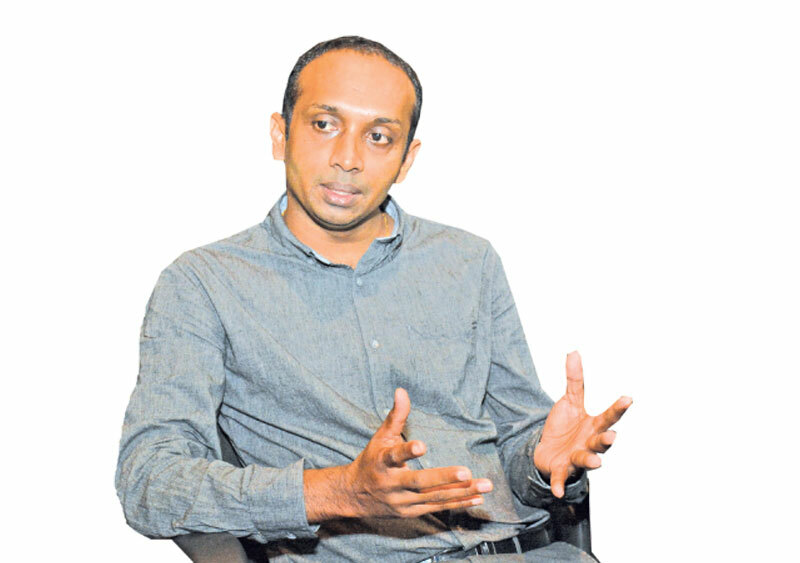 A person also needs to recognize the manner in which people can speak,” Marasinghe elaborated on what it takes to make a successful sound designer. He says that he admires the sound designs of the recent Bollywood film ‘Raees’ and the Hollywood production ‘Adrift’. Though he has been the sound designer for films of various genres he says that he has not gotten the chance to provide sound for a science fiction film yet. “That is something I wish to tackle in the future. Watch as many good films as you can and learn from their sound designing. Do not merely listen to the noises in nature but learn to recognize each of their sounds. This will help you excel as a sound director,” he advised. Currently, he has his hands full with multiple projects. He is engaged in sound designing for Aruna Jayawardana’s ‘1970 Love Story’. He will also be working on Chathra Weeraman’s ‘Ayu’ and Indika Ferdinando’s unnamed project.